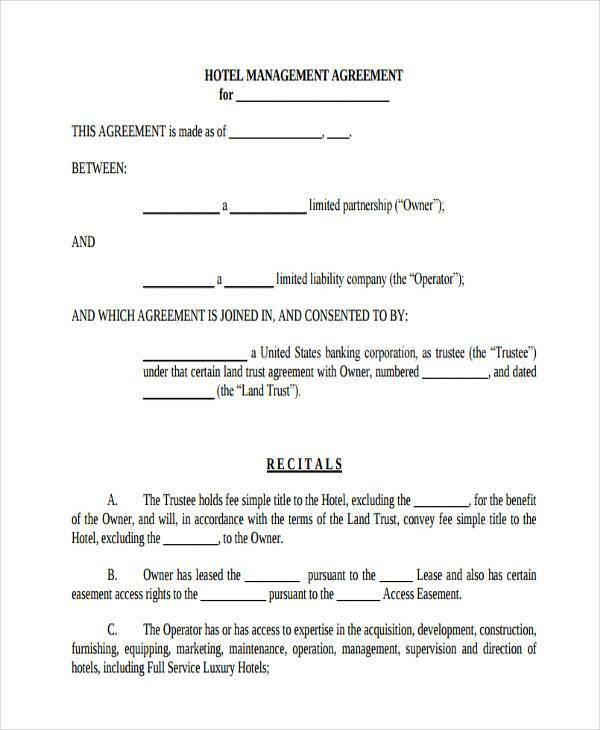 In the business of room rentals, or any other rental or leasing businesses, a Rental Agreement is a crucial aspect of it. 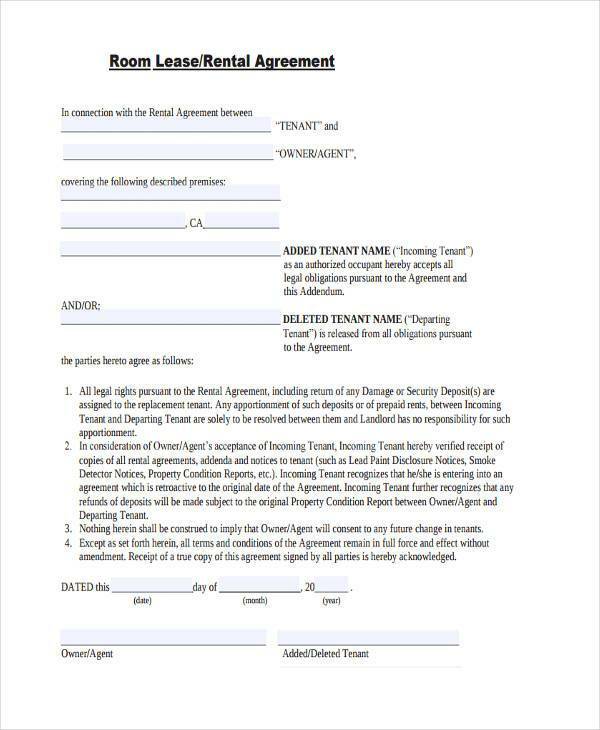 A Rental Agreement aids in the establishment of ground rules and expectations for the tenant to abide by. 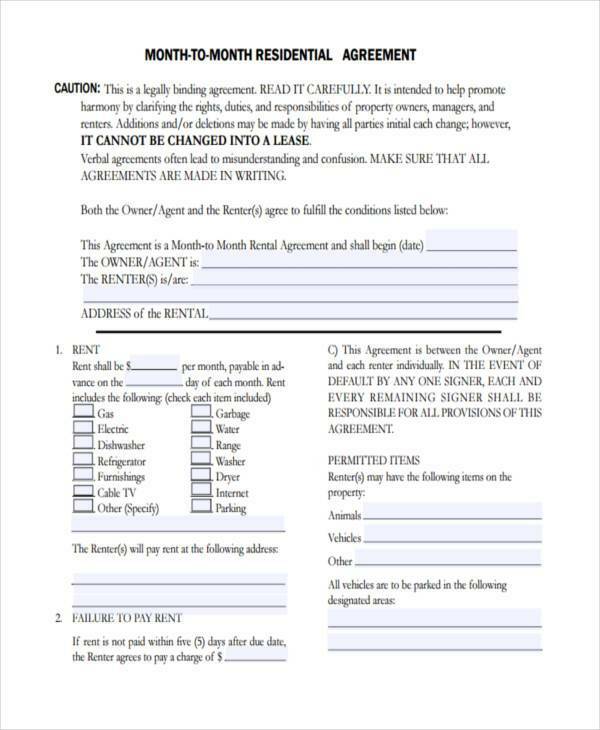 Having a Rental Agreement increases the chances of having a peaceful relationship between a tenant and a landlord. 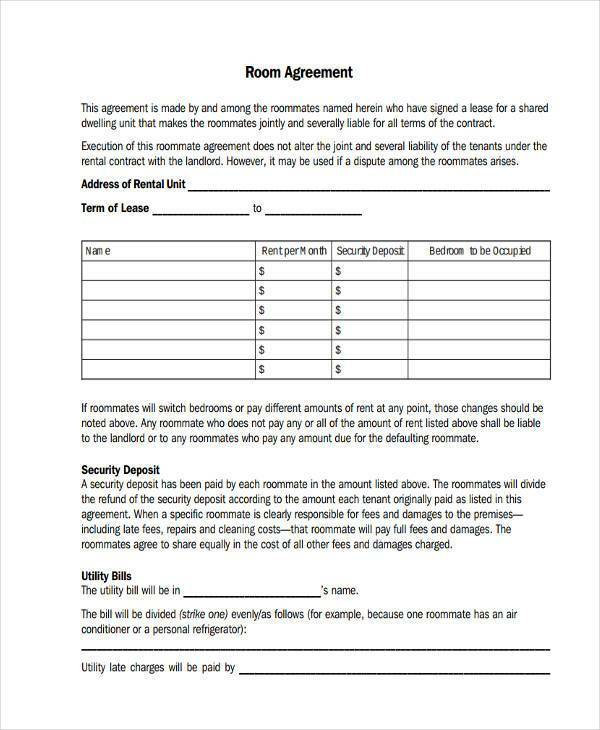 Like all other types of Agreement Forms, a Rental Agreement is considered to be a legally binding contract that contains essential details about the terms of a rental, such as as the amount of rent due each month. Although establishing a written rental contract is not necessarily mandated by law, having one creates an edge for a lot of practical and important reasons. 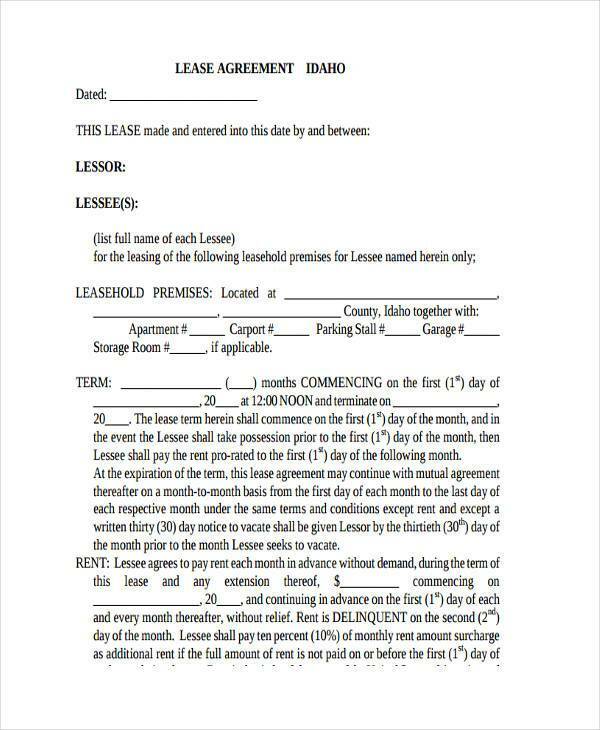 Rental Agreements are contracts made between a landlord and a renter. 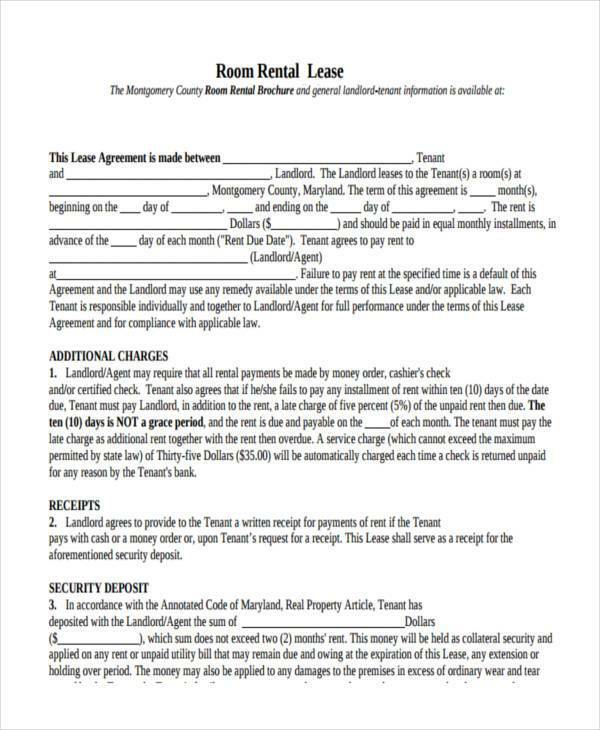 Rental Lease Agreements provide protection and security between both the tenants and the landlords and allow a landlord to properly set payment terms and house rules for the tenant. On the other hand, it also guarantees the tenant that prices for rent will not increase ostentatiously without prior notice. Each space that are available for rent has a maximum limit of occupants. This is one of the reasons why the names of all the tenants should be included in a lease agreement form. More so, having the names of the tenants can also be a reference if there are emergencies and unexpected occurrences that might occur within the period of tenancy. For landlords, having the specific names of the tenants also helps in terms of monitoring who are responsible for the maintenance and repair of the space. As mentioned above, properties need to have the exact count of the people who will be renting within a particular time period. The number of occupants will be based on the expected capacity of the space to be rented, the safety measures regulated within the property, and the jurisdiction of the property owner. More so, there are properties that are very strict when it comes to screening tenant applicants. Having the number of people in a room or any space to be rented can ensure property owners that all the tenants have passed the screening processes. 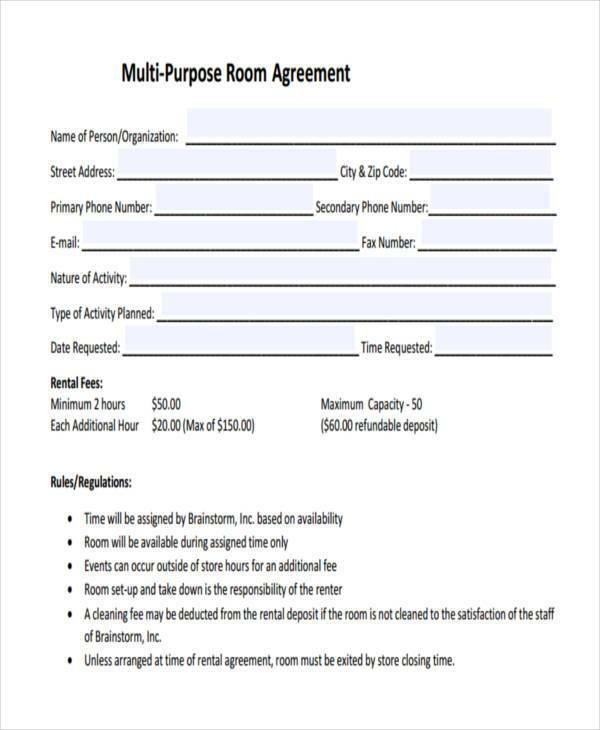 The entire duration that an individual or a group will rent a space must be recorded accordingly. Most of the time, there are different kinds of agreements when it comes to payment methods and processes varying on the length of tenancy. However, there are some businesses who only have one regulation no matter how long you will be renting their property. Hence, it is very important for a tenant to identify the initial duration that he/she plan to rent a space. May you be a tenant or a landlord, it is of most importance for you to accurately specify the details about rental dues and payment schedules. Both parties should be aware of their responsibilities as most misunderstandings and tenancy problems usually arise when money is already involved. Due dates for payments must be strictly followed to ensure that tenants have renewed their rental agreements. Also, penalties may be given for late payments so to minimize or totally remove such cases. The tenant will be more aware of his/her responsibilities with regards the space that he/she rented. The rules of the property will be given and specified accordingly which can set the expectations of the tenant. The regulations when it comes to payment, security, proper behavior and the like will be known in a more specific manner. There will be a document that can guide the tenant on how he/she is expected to behave within the entirety of the tenancy. The will be awareness on who is responsible for particular damages, maintenance works and repairs. Restrictions such as disallowing pets, illegal activity, excessive noise, or disruptive behavior has to be clearly set out in a Rental Agreement to avoid trouble among your tenants and damage to your property. 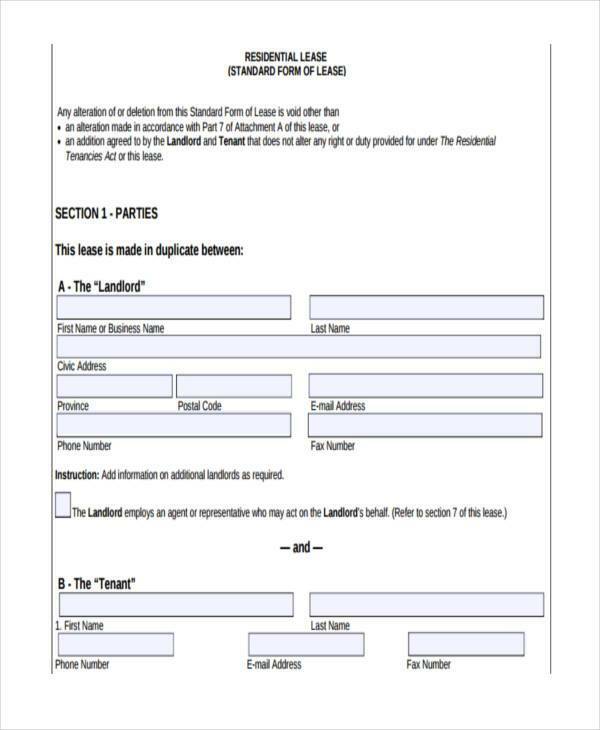 Download our Agreement Forms now to help you cut back on time spent to draw up an agreement by yourself. 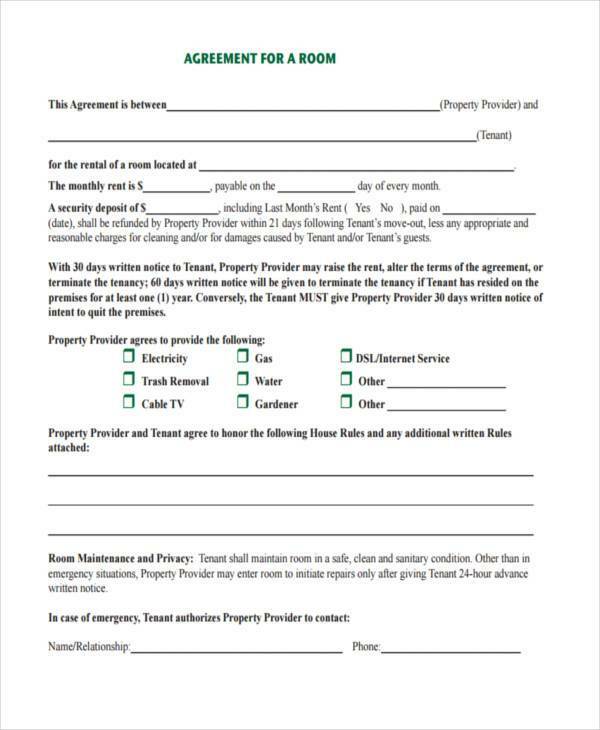 We offer a wide array of Agreement Forms, Rental Agreement Forms, and House Lease Agreement Forms.